It is with sadness that we gather to remember liturgically the life of our sister Teresita Maria “Tereret” Rellosa who died peacefully on June 12, Philippine Independence Day, surrounded by family members. She was 82 years old and had been a Maryknoll Sister for 53 years. Born in Pangil, Laguna, Philippines on April 21, 1933, to Esteban and Norberta Rellosa, Sister Teresita Maria, the name she received at her Reception and kept throughout her entire religious life, was baptized Eleonora Rellosa. She was the second of six children. Eleonora Rellosa entered the Maryknoll Congregation on June 1, 1962 at the Philippine Novitiate in Quezon City, from the parish of Our Lady’s Nativity, Pangil, Laguna. She made her first Profession March 19, 1965 at the Maryknoll College Chapel in Quezon City, and her Final Profession on February 2, 1971 at the Maryknoll Parish in Cateel, Davao Oriental, Mindanao, Philippines. 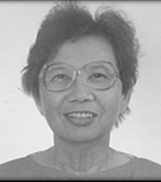 She graduated from Eastern Laguna College High School in 1950. Before entering Maryknoll, she studied for a time at a Secretarial School. She graduated from Centro Escolar University, Manila with a BSEd in Math in 1974. She was assigned to Jala Jala, in Rizal Province, in January of 2013 and remained there until August 2014. Sr. Tereret’s family and many of her friends were present at the liturgy of Christian burial. We are grateful to our brother Fr. James Ferry, M.M. for presiding at our liturgy of Christian burial assisted by her inaanak (godson) Fr. Charles Patricio, MSC, pastor of Our Lady’s Nativity, Pangil, Laguna.